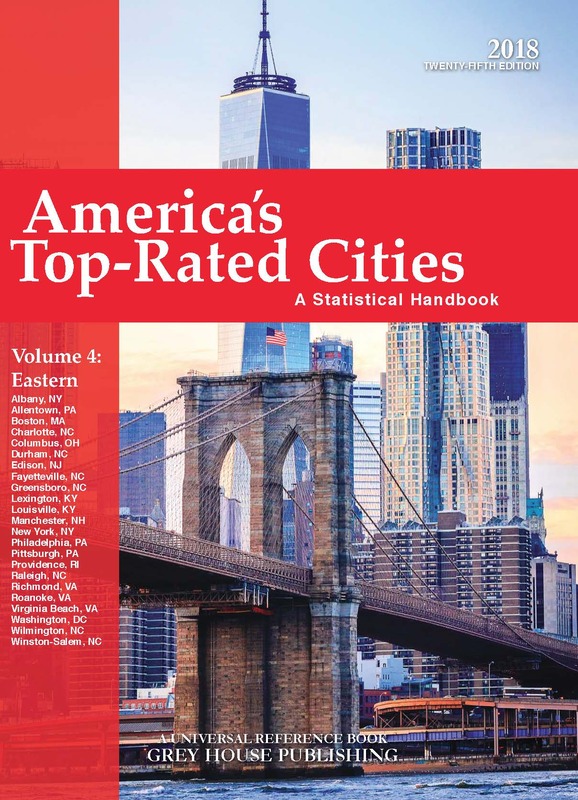 The 4 Volume Set includes Two Years of Free Online Access to sortable ranking tables on the Grey House Online platform, plus a link to this content can be added to your Salem Press landing page. See below to order volumes individually. 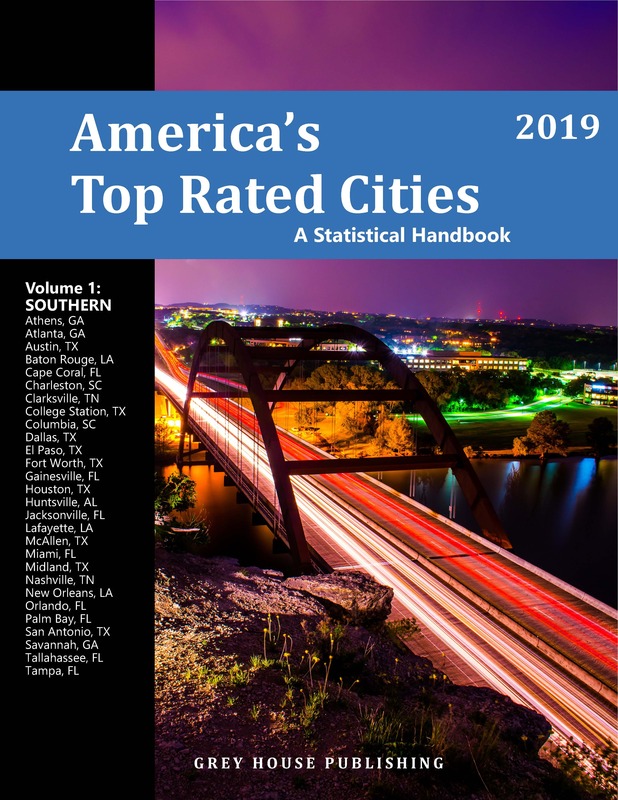 America’s Top Rated Cities provides current, comprehensive statistical information and other essential data in one easy-to-use source on the top 100 cities that have been cited as the best for business and living in the United States. 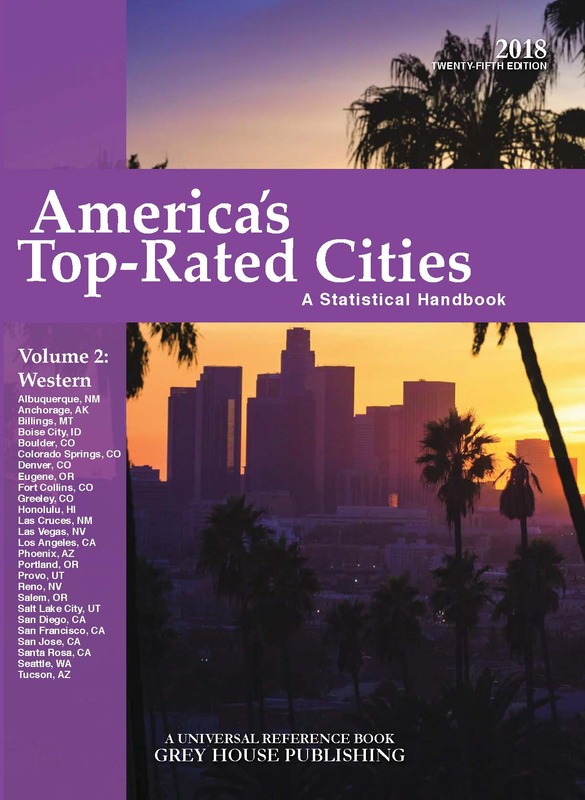 City Reports incorporate information from hundreds of sources to show, at a glance, a concise social, business, economic, demographic and environmental profile of each city. 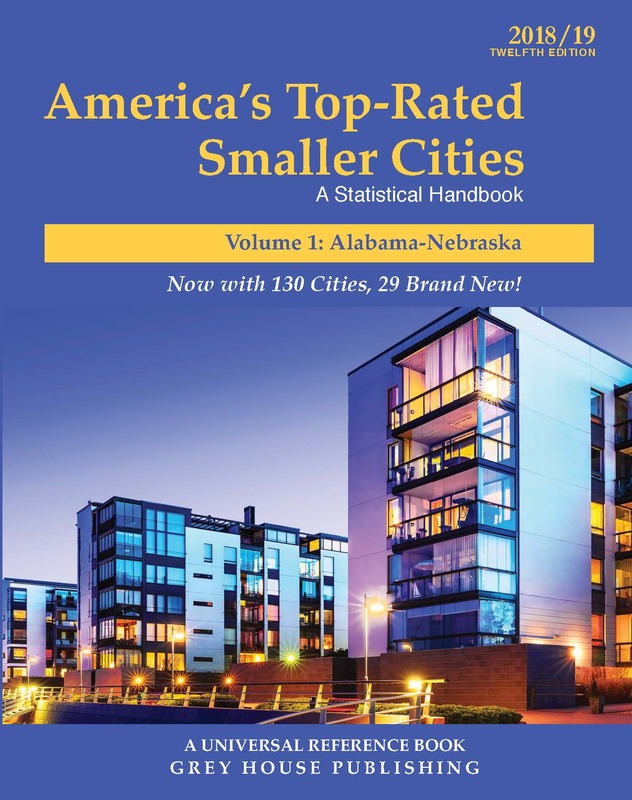 Statistical data covers cost of living, finances, taxes, population, commercial real estate, education, major employers, media, crime, climate, housing vacancies, tax audits, bankruptcy, presidential election results and more. 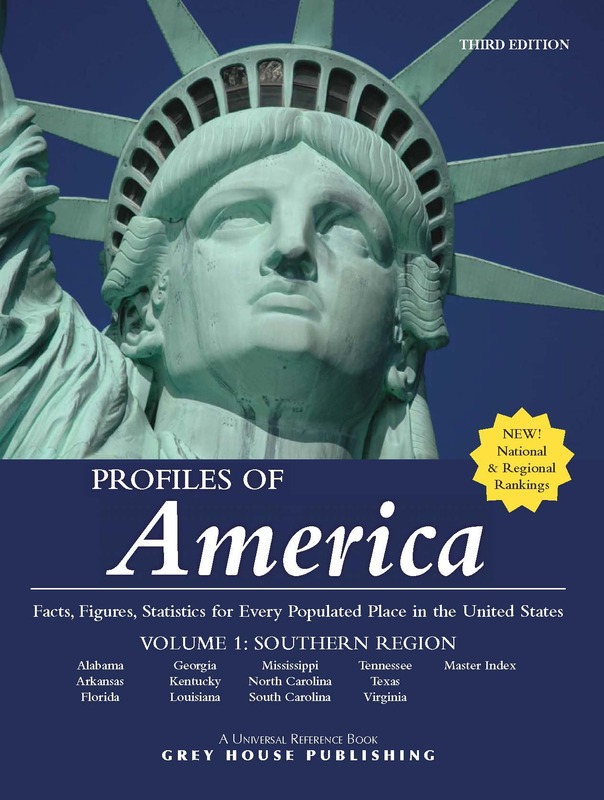 Arranged into four regional volumes for easy use. 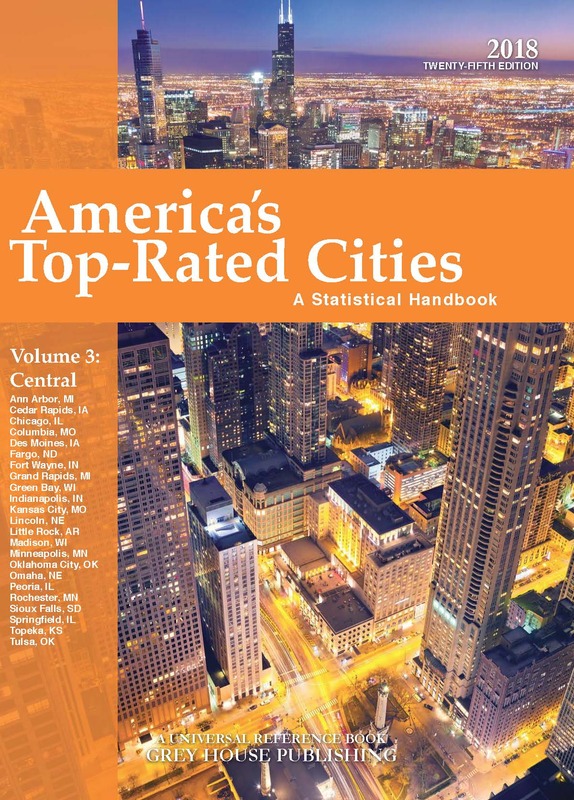 Comparative Statistics for 40 categories allow for easy comparison and trend-spotting. 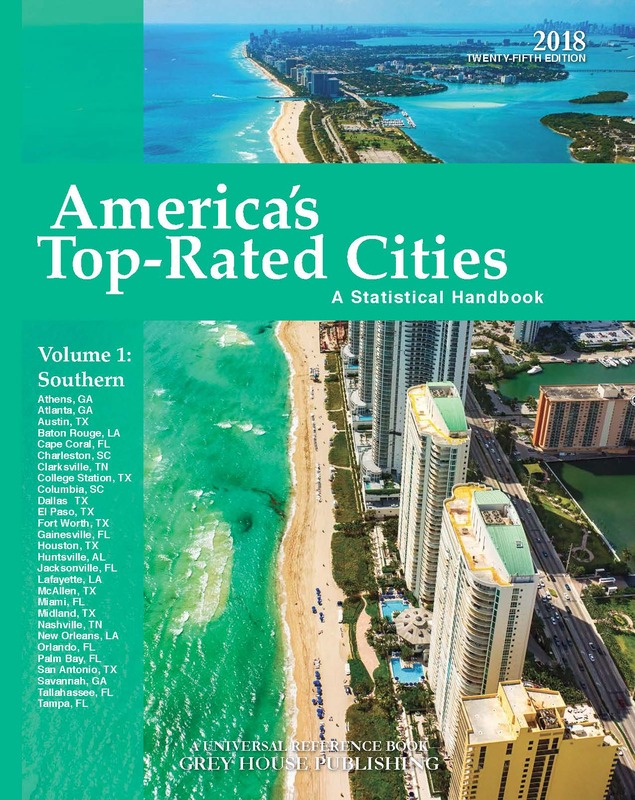 America’s Top Rated Cities is designed for a wide range of readers: private individuals considering relocating a residence or business; professionals considering expanding their business or changing careers; government agencies; general and market researchers; real estate consultants; human resource personnel; urban planners and investors. This outstanding source of information will be widely useful in any reference collection. 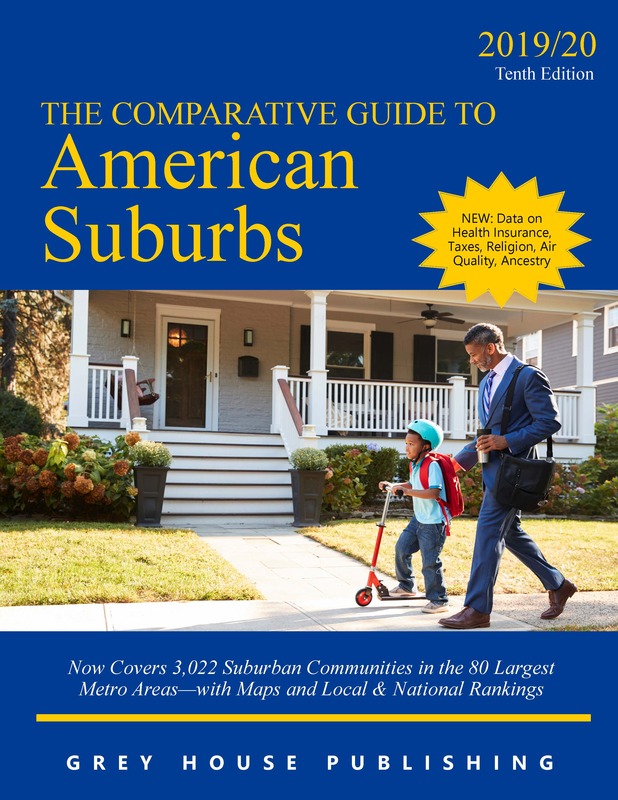 Library subscribers can add a link to this title on their Salem Press platform, so users can connect to this content from their Salem Press page too! Includes Free Online Access for Two Years. See below to order volumes individually.